I started using your natural face care regimen (including your DIY skin cream) 2 days ago, and today someone asked me if I’m my husband’s daughter 😉 He’s only 3 years older. I guess you could call me a hippie. Not because I’m listening to the Grateful Dead or refusing to shave my armpits (that was 1996). 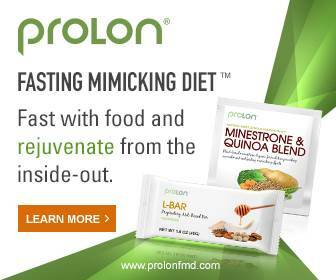 These days I’m more focused on living a natural and toxin-free lifestyle. I make my own bodycare products to avoid chemicals. If you read my posts regularly, you know that I am a big fan of non-toxic (not to mention easy) lotions and potions. I dumped my chemical-filled cosmetics a long time ago and started making my own shampoos, lotions, face masks, serums, and creams. Did you know the average woman exposes herself to something like 500+ toxins via her cosmetics every day? 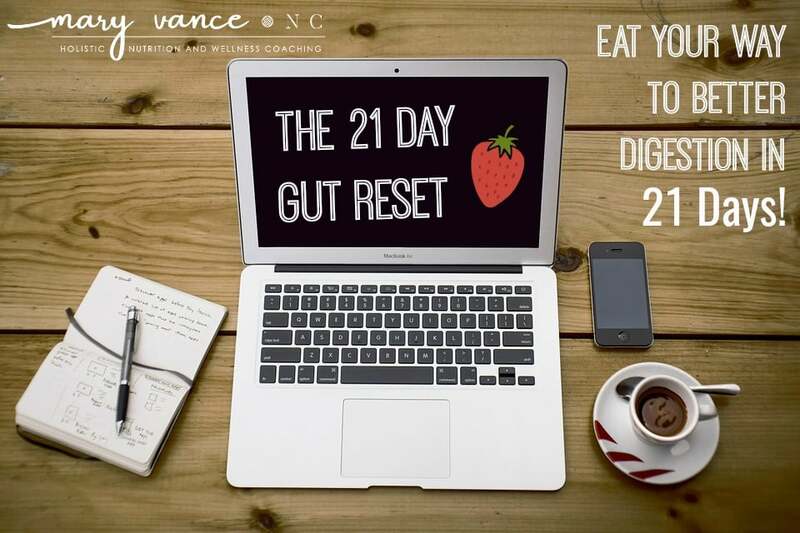 Your liver works hard to neutralize toxic compounds, but as they build up, they are stored in fat tissue, where they accumulate over time, contributing to endocrine disruption, weight gain, and infertility. Take a look at the labels on your shampoos, lotions, creams, and bodycare products. The ingredients list is a mile long and filled with chemicals you cannot pronounce. That’s one reason why I keep it simple: I often use coconut oil plain as a moisturizer, or I’ll add drops of skin healing essential oils to the whipped coconut oil I use on my face. I use this yogurt mask with frankincense regularly to keep my skin glowy. See this post for my lighter summer blends. It’s SO easy to make your own skincare products. This recipe is my favorite skin healing and regenerating “butter.” I use it on my face in the mornings and evenings as a moisturizer, and also on delicate skin areas like the neck and chest. I’ve also used it to heal burns and scars. I call it skin butter because it’s so hydrating and lightly whipped to perfection. 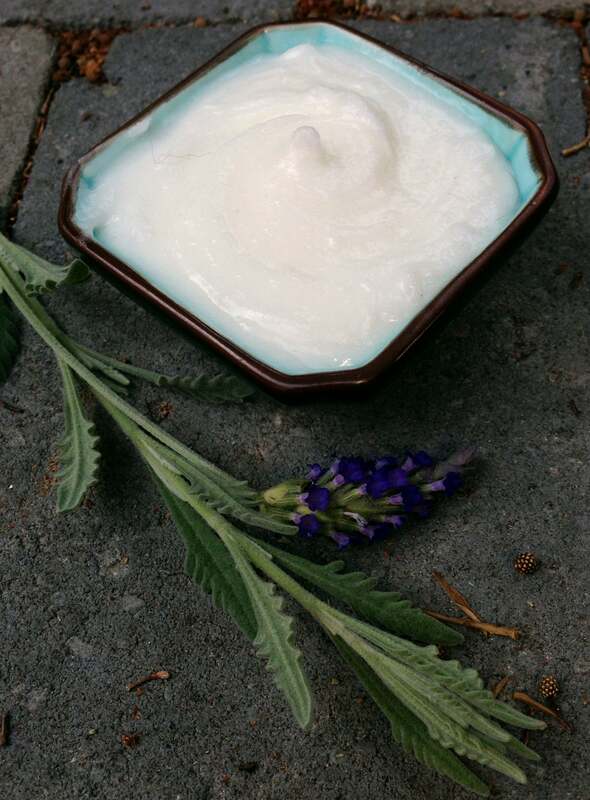 The base is whipped coconut oil, and I added Frankincense and Myrrh, two ancient essential oils that aid particularly in skin regeneration, wrinkle prevention, and that combat dry skin and aging. You can make this in about 8 minutes, and a batch typically lasts me 6 months or longer. It costs me about $10 to make each batch. And it works better than any expensive chemical-laden boutique cream. Please note that if you do have acne-prone skin, this may not be for you. Coconut oil is comedogenic, which means it may clog pores. My skin loves it, but it’s not for every face. Let’s look at the benefits of the miracle anti-aging skin butter’s natural ingredients. Coconut oil: deeply moisturizing, strengthens skin tissues, and helps remove excessive dead cells on the skin’s surface. Great for dry, rough, flaky, chapped skin. I use this kind. Frankincense: protects and tones skin, encourages skin regeneration, prevents wrinkles, fades and heals scars, makes skin soft and glowy! I often add a couple drops of carrot seed oil if I have some on hand. It’s very high in antioxidants and great to keep skin looking dewy and fresh. You can add a few drops of lavender, which is great for oily skin, eczema, and acne. It smells nice too! Not a great choice for dry skin. Neroli is good for acne, overall skin healing, elasticity, and to combat wrinkles. Plus, it smells fabulous! Palmarosa regulates oil production, making it good for all skin types. It nourishes and restores skin health at the cellular level. Rose essential oil is quite expensive but exquisite for aging skin and makes a great toner. Rosehip oil has an amazing fatty acid profile that is excellent for aging skin, scars, and stretch marks. I use it as a base for my homemade skin serum (also includes tamanu, frankincense, pomegranate seed oil). Add all your essential oils, then whip again until blended. It will have a nice, light, airy consistency that’s easy to spread over your skin, and it absorbs quickly. Smells great, too! I store mine in small mason canning jars, like this. I store it at room temp. I live in a moderate climate where it doesn’t melt. You may want to try refrigerating it if it starts to turn liquid. The skin on my face, neck, and chest has never looked better since I started using this blend. Enjoy! You can read more about using oils for skin health here. I know women use a lot of skin care products to help with aging. I would like to know if it will work for men because I’m beginning to think I could use something like this myself. Quick questions: Do you store this at room temperature? If it gets to hot and melts, do you have to rewhip? yes, it stores well at room temp (do not refrigerate). Even if it gets a bit soft, it still maintains its whipped texture, but if it turned to liquid, you’d need to rewhip it. Yes, it’s great for all skin. Can this be used as a daytime moisturizer or is this better for nighttime? Gloria, it can be used anytime! I use it morning and night. It really depends on your skin. It’s rich, so you may prefer nighttime use, but I like it during the day because it hydrates so well and makes skin look soft and young. I still break out at 51. Coconut oil tends to stick in my large pores and the results are acne! Is there something I could substitute for the coconut oil that won’t clog my pores? I’ve tried frank neat, Elemi mixed with my Clinique lotion, ect. I’m having no luck with anything! With olive oil. It I don’t think it will whip up. @Janet – Coconut Oil shouldn’t make you break out regularly, and I wouldn’t use Olive Oil, honestly, because it takes so long to absorb, I think it would make acne worse, but coconut and the tea tree oil should work really well for acne and blackheads. When you first start using coconut oil on your face if will increase breakouts because of it’s anti-bacterial and microbial properties. So, what it is doing, basically, is pulling the oils and toxins out of your pores. If you give it a chance to balance out, however, especially if you add the tea tree, in a few weeks you should see amazing results and hopefully have glowing, blemish free skin! I seem to be allergic to Coconut oil (makes my face itch) but I’d love to try something like this. Any suggestions? 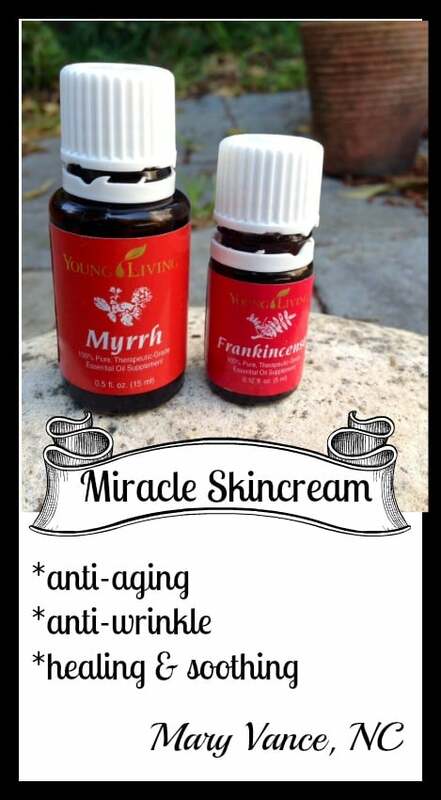 I heard from a friend that if you mix, myrrh oil with coconut oil and vitamin e oil it helps with scars? 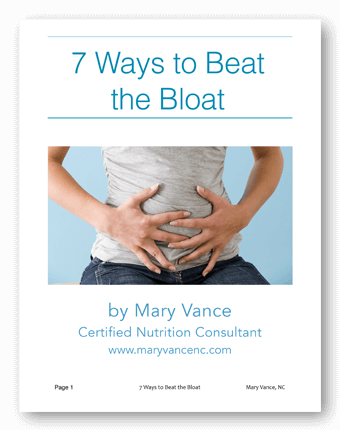 Have you heard of this or tried something similar? Yes, that blend (and the frankincense) helps reduce appearance of scarring. Lavender works great too. I have just been introduced to the wonderful work of Young Living Essential Oils and am interested in using something to replace my nexium for my barretts esophugus? Any suggestions? I know this May be a dumb question but is it supposed to smell like coconut or the other oils? not necessarily supposed to, but it will smell faintly of coconut or the other oils used. Can I ask how much carrot seed oil did you added? A few drops, maybe 3-4. I tend to have combo/oily skin, so if I did this recipe, would you suggest I add 5drops each of Lavendar & Melaluca(tea tree) oil also? That could work. Just research essential oils for oily skin. I’m stoked on your recipe. Maybe the essential oils will change how coconut oil works on my face, and if not, it will become body lotion. @Janet Coconut oil is not a one-size-fits-all miracle moisturizer. While it works well for many people, there is a growing backlash all over the web from people who are frustrated with coconut oil (and olive oil). Over and over, with every new amazing product, people eventually realize there is no one thing that will work for every single person in every single climate on the planet. For instance, I have tried many times for varying lengths of time: coconut oil definitely dries out my skin. I’ve been using jojoba for weeks to wean myself off chapstick/balm & I’ve had no problems whatsoever. I use a palmful of it with a few drops each of lavender and tee tree after waxing (a very fragile time for your skin) & my legs *love* it. Everyone’s chemistry is different! Look for people with similar skin types and climates to yours. What works for them is more likely (but not guaranteed) to work for you. I’ve found it useful to look at the ingredients on the products that do and do not work for me. There are a lot of similarities within each group. All my products are natural, vegan, etc, but also expensive, so I’m seeing what I can do on my own and stoked to find these useful DIY skincare blogs! Hi.can I use coconut oil for eczema in my son?is not bad for him if is play outside with the coconut oil in his skin?.he can get a dark or light spot in his skin,like sunburned?..thanks.can I mix coconut oil with something else for betters results in eczema problems? im allergic to lavender, what other essential oil can I use for acne? Do you know of other carrier oils that can be used for a daily Spf? I have clogged pores any suggestion’s? It’s a moisturizer/skin cream, not a mask. Use it like you would face cream. Hi, great article, I’ve actually been looking for recipes and this sounds perfect. Will definitely try. Can I use this recipe for both face and body or do I need to adjust the amount of EO’s for the face? You can use for face and body. Hey I love the video. Thank you so much for sharing. 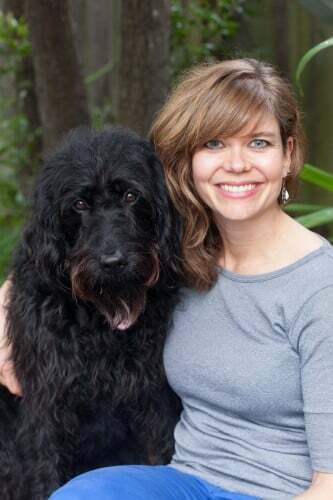 I’ve been stgnuglirg with for about 2 years now, on my face, and I﻿ have been trying all different kinds of natural cures to find the right remedy. Did you change your diet at all while using Coconut Oil? From the looks of you in the video your face looks excellent. I couldn’t even tell that you had . i use this every night and love it. But, wondering of I added less coconut oil and add Shea butter , if that would make more creamy. Sometimes it’s too oily to apply makeup over. Yes, I bet that would work well. Let us know if you try it! I made this, but the next day it lost its whipped consistency. When applied, my face was very oily and took a long time, with dabbing some off, to absorb. Is this how it’s supposed to be? I don’t want to give up on it, just want to make sure I did it correctly. Thanks. You may need to whip it more. You have to whip it for several minutes, up to 10 sometimes. Also, I’ve noticed that if it gets very cold it will harden back to coconut oil consistency, in which case you can re-whip. In terms of being oily, you may have used too much. It’s designed for dryer skin but absorbs very quickly. I need to use about 1/2 tsp on my face at a time. I have lost significant weight (40 lbs) I am 55 and I need something to tighten my neck up. What would you recommend? I am 62 and need something for wrinkles, etc. I tried whipping this recipe this morning and it did not look like the pictures. Gonna try to whip it some more. I used a regular hand mixer. Do I need to use a stick blender for this? I am thinking I just did not whip it long enough. I whipped for 5 minutes then added EO and whipped again for another 2 minutes. Whip more? Hi. I would like to add some geranium and lavender but am wondering if adding extra essential oils will make it too concentrated. Can you advise how many drops in total is safe? You can add whatever you like. I typically don’t put more than 10 drops in a batch, but it depends on how sensitive your skin is. Hi! I am interested in this recipe for the anti-aging/wrinkles benefits. How long does this lotion stay typically stay good? Does it need to be stored in a dark place? Also, I understand myrrh and frankincense help with adrenal fatigue, hypothyroid, inflammation and stretch marks. Would this recipe work for those as well? Is there a one size fits all recipe? You can add whatever essential oils you like. 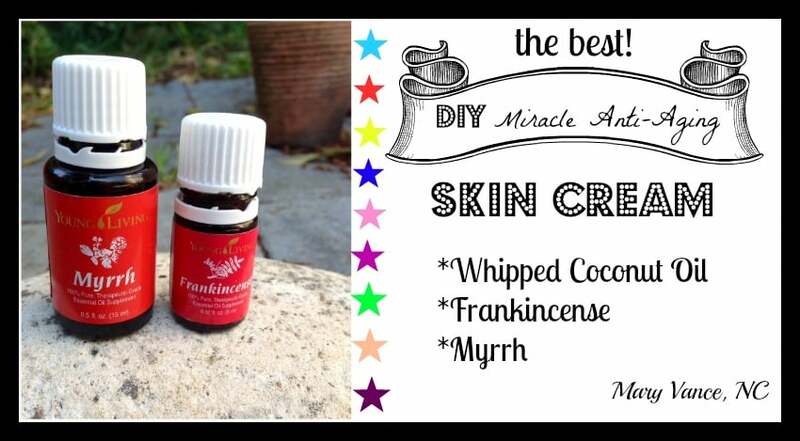 The whipped coconut is just the base, but frank and myrrh especially help fatigued skin and are anti-wrinkle. I’ve also added neroli (smells divine). Pomegranate seed oil and tamanu are other good choices. I would say just remix it. It will have the same effect, but the benefit is that whipping it makes it lighter and easier to apply. For daytime, do you apply sunscreen before or after the skin butter? Also, can you recommend a good sunscreen? Thanks so much. I am thoroughly enjoying your recipe. Glad you like! I don’t wear sunscreen daily, but you would apply it over the skin butter. If I do need it, I like Badger brand. If I am going to add tea tree oil, or any of the other oils that ate optional, how many drops do I use? Hi Ruth, Tea tree is good for oily and acne-prone skin, but it’s quite strong. I would use 3-4 drops only. I’m one of those people who needs to mix Shea butter with the coconut oil to get the desired consistency. Should I mix them 2/3 to 1/3? OR Half and half? What do you recommend? I’ve now been using this for several months and absolutely adore the way if feels and what it’s doing to improve the texture of my skin. Thank you so much for this excellent DYI! I adore your skin cream! But I’m one of those people who needs to combine Shea butter with the coconut oil. What proportions of Shea to coconut butter do you recommend? Half and half? 1/3 to 2/3? Thanks so much for your recommendation. Carole, I would do 1/2 and 1/2, but I haven’t tried that personally. I tried the oily skin moisturizer. Now it seems im sensitive to either the hemp seed oil or the evening primeose oil as i ended up with a pimply like rash from it. What other oil combo would you reccomend for my oily but sensitive 44 year old skin? The coconut oil cleansing is working well? Coconut oil causes my pores to clog; what would you recommend to replace it that would provide the same consistency? Thanks! I have organic shea butter, as well as the EOs already, but if there is something else that might be better than the shea butter, I’m open to suggestions. I use cucumber or tea bag slices for puffy eyes. Witch hazel also works. The key is really to figure out why it’s happening– poor sleep? Lymphatic congestion? Hot water and lemon is good for the lymph. Whipped up beautifully! Should a preservative be used? Don’t want it to go moldy on the counter. I’m trying to go chemical free so I will make and use this! Very exciting! 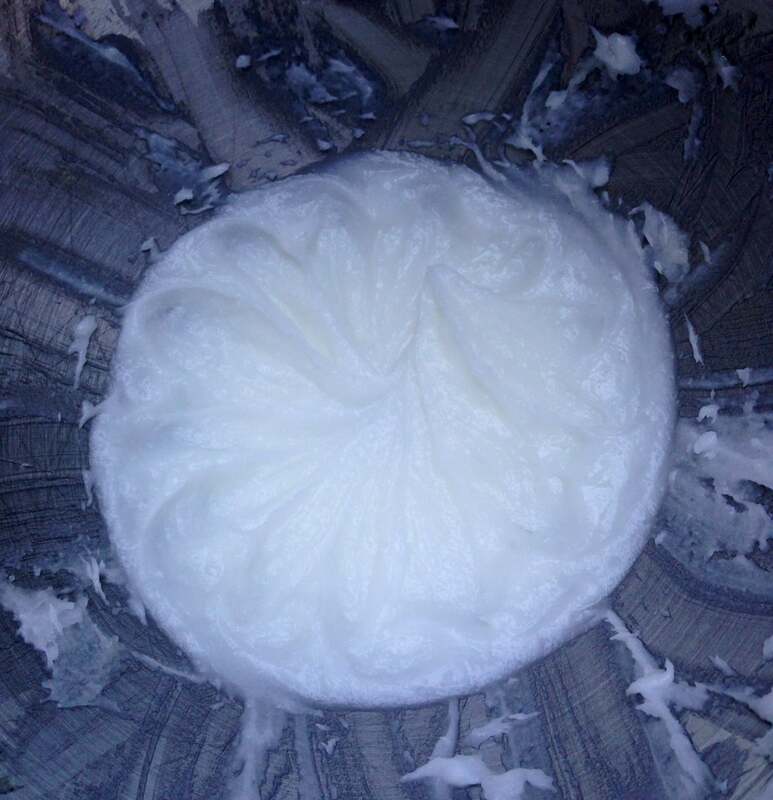 Coconut oil won’t mold… it’s antibacterial, antifungal, antiviral. I could not wait for my oils to arrive but am not super happy yet with my new moisture right now. The coconut oil was solid but a bit different from what I get up north (I am in Florida now). The finished product can be poured yet it has the solid look. It has a grainy feel when you put it on but the grains seem to disappear after you smooth the cream on your face. It does not absorb into the skin and that is probably where the youthful look comes from. I will keep trying it. Had planned to give some to friends but I would not share this with anyone. Susan, you probably need to whip it longer. The whipping process can take 10 minutes or more. I’m allergic to coconut so I use Young Living V-6 oil. No issues but was wondering if it might whip? Hi Trisha, I don’t know, I’m not familiar with V-6 oil, but if it’s not solid at room temp, then no. Otherwise, maybe? I appreciate your all efforts about your thoughts. it’s really good work. well done. I would like to share something really helpful for Health. This sounds like an amazing blend and I bet it smells so good too! Thanks for this lovely face cream recipe, looks great, have not tried it yet, but I do use the essential oils mentioned. I have combination skin, so coconut oil is too oily for me, also hard to apply make up over it. Coconut oil better to use at night for me as it’s a rich oil and no make up at night. I do love aloe Vera gel, I used that as base foe all my facial experiments. Absorbs quickly and firm’s up my skin, also look fresh and glowing on my skin, only need a little on my face and neck, not greasy at all, so I use this product, just love it. I add rosemary or geranium to firm up skin more, especially on eye bags. Skin feels very firm and feels good then. I add drops of other lovely oils and essential oils. So that’s what I use for my skin, it’s then more then a lovely serum, grease free.